Black Pearls cake decorations or desert sprinkles, each pearl is approx 4mm dia. 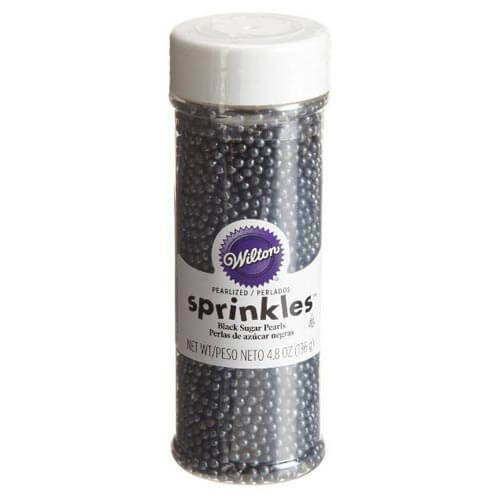 Simple to use plastic container with double sided sprinkle or pour lid. For best results simply sprinkle directly onto fresh icing or creams etc. Ideal for a wide range of celebration cakes, biscuits, ice creams and deserts.